Welcome to the third and final part of my FILEX 2017 big takeaways. In this article I want to talk about play and enjoyment in the group fitness sessions. Thanks to an awesome workshop run by John ‘JP’ Polley on ‘Play – Why you should take is seriously’. Let’s dive in. 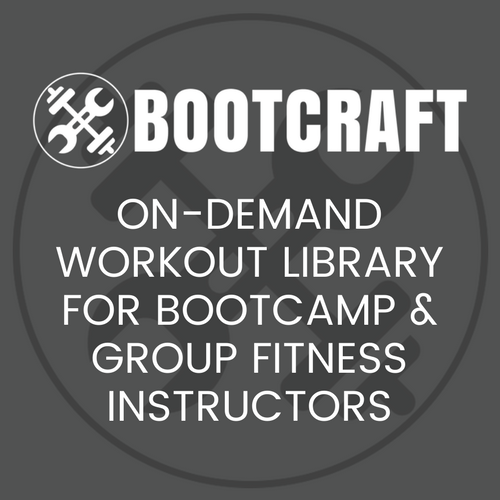 If you’ve been following Bootcamp Ideas for a while, are a member on BootCraft and/or part of our Facebook group, you will definitely have seen that play, fun and games can be a part of your bootcamps. The thing I often hear back from trainers though is that they are worried that by incorporating play into their bootcamps they will either alienate their existing clients or their sessions will lose intensity because play just involves messing around and no serious working out will be done. Well, both of those can happen if play is not incorporated correctly. I know right, the idea of putting rules around play sounds a bit like playing fetch with a dog while you’re still holding onto the leash. Crazy right? What if we played fetch without a leash, but in a fenced in yard? That’s my aim today, with inspiration from JP’s workshop, I want to share with you 3 mistakes I see trainers make when incorporating play into their sessions. Some trainers have the attitude of ‘My clients are here to workout, not play expletive-deleted games’. That may be true. In fact most clients will join a bootcamp or fitness group to help them develop a workout habit. But once that habit is established, why do they stick around? Let me have a go at explaining with a story. A few months ago my wife and I were showing our friend around Apollo Bay and The Otways. On the way home we passed through a town that I cannot remember the name of. The town was really small, about 30 or 40 houses. And four churches. Four! How does a town end up with one church per 10 families? Because community and belonging are wired into our DNA. The churches would have, and still probably do, give people a place to meet and do something together that they share in common. Nowadays people have more choices on how they are finding community and belonging. They are still looking for people with similar interests and beliefs. It’s for that reason that they will stay at your bootcamp or group fitness sessions long after a workout habit has been created. They stay for the other people, for the community, for that feeling of belonging somewhere. Why am I mentioning all this? Because play, partner drills and team-based drills are like a video game cheat code for creating community and belonging fast. But like I wrote earlier, there is a right way to do this and a wrong way which I’ll dive into in Mistake #2. Pop your hand up if you’ve run a games based session that’s just flopped? Maybe it turned out the games were too complicated and the clients spent the whole time standing around trying to work out how the game worked. Or maybe your clients didn’t really embrace the challenge/game and ended up finishing the workout complaining it was too easy. Regular play is linked to better creativity, something we all need on a daily basis no matter what our profession is. Play also induces states of flow, which has been linked to curing diseases. Not to mention reducing stress and anxiety which every single one of your clients could do with help on. The point I’m making (other than play being important) is that because most adults have forgotten how to play, you need to introduce them to it again slowly. If you throw them into a whole workout of games you’ll just leave a bunch of people feeling awkward and out of place (bye bye to that belonging we talked about). Start with a couple short, 1 minute partner drills as part of your warm up for a few weeks. Then try a few 5 or 10 minute game style warm ups and finishers. Just one per session. Once your clients are relaxing into and enjoying these games, then you can throw a whole workout of game style drills at them. You may still notice a few clients hanging back in certain games which is what we’ll talk about in Mistake #3. As we know, every person on this planet is different so unless you cater to a very specific group of people, you will end up with a variety of clients. It’s at this point that I should highlight that there is a difference between enjoyment and play. I’ve been using play in this article as a way to increase your clients enjoyment and therefore their adherence of your sessions. However, not everyone’s most enjoyable workout involves a lot of play. For example, my idea of an enjoyable workout for myself is a list of exercises with sets, reps and tempos that I do for 4 weeks, each time trying to improve. This is done by myself, preferably in an empty gym with no one around to compare myself to, often in silence. Now my ideal workout is someone else’s nightmare workout. Others love having loud music pumping, a group of people to help motivate them and lots of variety workout to workout. Chances are you won’t have any clients like me, you’ll most likely have people in the latter category. That said, you will probably have some that are further down my end of the spectrum. Where do you fall? Where do you think most of your clients fall? If you love running game style sessions, keep running them. You’ll probably lose a few of those clients who like the more traditional workouts but you’ll start attracting more people who LOVE your style of workout. This one is simple, just keep some variety in your sessions. You’ll give your clients the best of both worlds. They’ll get all the benefits of play and the benefits of more structured workouts. And your business will benefit with a stronger, tighter community. Introduce play and games gradually. Start with a few one to two minute drills like knee tiggy or head, shoulders, knees and cone. Keep plenty of variety in your sessions in both exercise style and the individual drills. More enjoyment, more play, more team drills leads to a stronger bootcamp community. Do this and I’ll be very surprised if you don’t see better adherence, more smiles and over time more retention and clients. Before I go I should mention that in this article I’ve only written about incorporating play into sessions with drills. I haven’t even touched on how you can bring play into exercise selection which you can then use with any workout. That would fill another entire article (and maybe some videos). That is an area of John Polley’s expertise so I recommend checking out some of this stuff. You can find out more about him on his website Be Free and get some ideas in his Facebook group of the same name.